This week we won’t talk but just some words. A couple days ago I found this awesome photograph of someone I don’t know who. 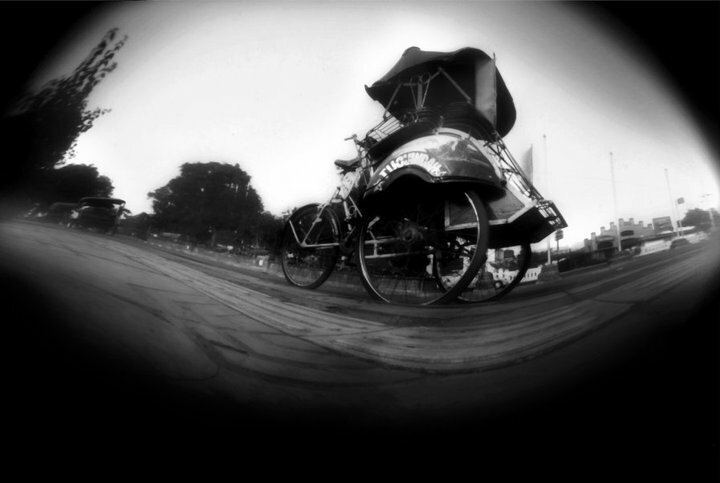 It’s quite simple as an object, which is just exist of a vehicle that will just find in Java Island of Indonesia : becak. Pedalled by a strong man to take his passangers somewhere. Most of them (the men) are not that strong physically, but the most strongest they have is their spirit of life. Pedalling the “becak” to get the money for their family from the cold air of morning, through the hot and dry noon, until find the cold air for twice in a day on the evening, maybe until midnight comes if they haven’t get enough money.